With the Browse Abandonment Flow you can convert users who have viewed your products into purchasers! The Browse Abandonment flow is similar to your Abandon Cart flow, but is triggered only when a user has viewed one of your product pages and does not update their cart or complete a purchase. To receive this message a user would have had to previously have opted in to receive messages. If they are opted in, they will receive messages after abandoning a browsing session. 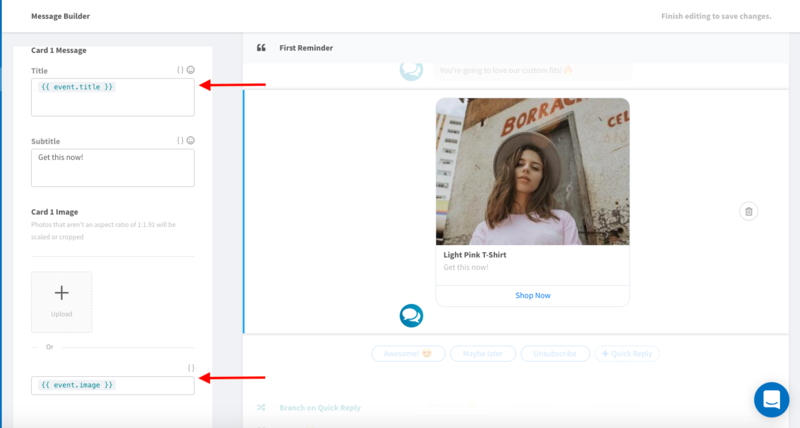 A view product event does not demonstrate as high intent as an abandon cart event, so we recommend keeping this Flow to a single message that includes a light reminder. Navigate to the Flows tab of your ShopMessage Dashboard and then click on the Browse Abandonment Flow. A new window will pop up prompting you to chose a Flow Name and Template. By default the template and Flow name will be populated for you! Within your Message Timeline, you'll se that we've pre-set one browse abandonment reminder to be sent two hours after a user has abandoned a browsing session. Click on the pencil icon to move to the message editor. Now that you're in the editor, click on element to edit! 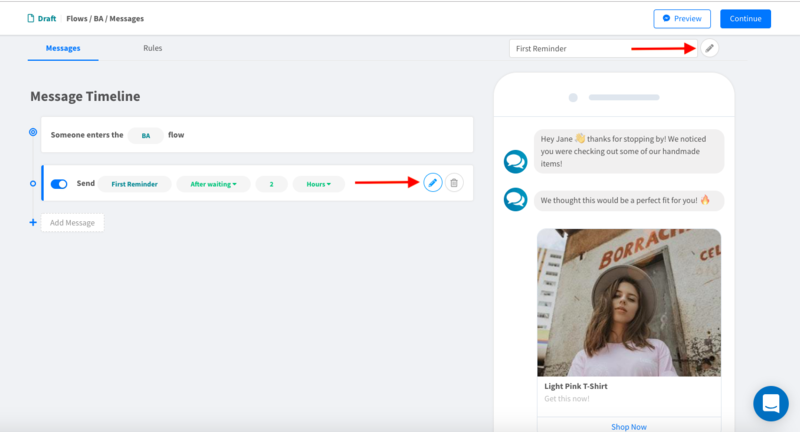 By default, Browse Abandonment Flows will include users who have already opted into messaging and are viewing your products. Users who have unsubscribed or clicked on a “snooze” button in the last thirty days will be excluded. We also exclude any user who has completed a purchase, updated their cart or viewed another product to ensure that each person isn’t entered into conflicting flows.